Are you looking for a new destination to visit with your loved one? Here we focus on some of the world’s most fascinating cities for top romantic getaways. 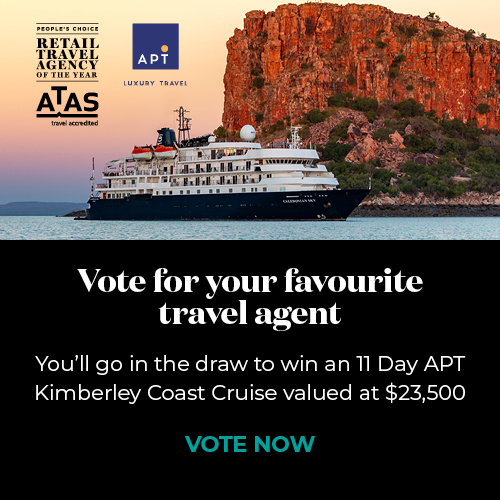 Take your pick and ask an ATAS travel agent to help you organise your ideal trip. As the capital of the misty and romantic Tuscany region, known for its Renaissance art and architecture, Florence is a great choice for a couple’s getaway. This is where you’ll find some of the world’s most famous artworks, including Michelangelo’s David and the works of Da Vinci and Botticelli in the Uffizi Gallery. Everywhere you turn you’ll see stunning architecture and quaint streets, with cafes, bars and restaurants. A magnet for arts and fashion, shoppers will love the central designer and leather stores. Head to the lesser known Oltrarno district on the other side of the Arno River for artisan studios and exquisite little shops, as well as another beautiful basilica. Florence straddles the Arno, affording fabulous photo opportunities of the magnificent Renaissance buildings that line the banks. At sunset, the most romantic spot is the Piazzale Michelangelo, with a wonderful view over the city and its stunning Duomo - the famous Cathedral of Santa Maria del Fiore. Awarded with City of Design status by Unesco, Helsinki is a modern city that offers functional design and an efficient transport system, making it an easy place for a couple’s getaway. Scandinavian design is legendary, and Helsinki’s design district reflects this with world famous brands such as Marimekko, Iittala, Artek and Arabia. What makes Helsinki really special is its maritime flavour, with over 100km of coastline and an archipelago of around 300 islands lying offshore. Trying an island restaurant is a must, and you won’t be short of fine dining in the city, with Michelin-starred restaurants serving up seasonal produce. And of course, no visit to Finland would be complete without taking a sauna! There are plenty to choose from, some of them slick and modern, and others more traditional. San Francisco is simply fun! Famous for its impressive Golden Gate Bridge and trams negotiating hilly terrain, the landscape of the city in itself makes it worth exploring. As well as the trams, there’s a hop-on hop-off tour bus that gets you to all the key sights. Fisherman’s Wharf one of the most popular tourist areas down at the bay, where you’ll find restaurants and boutique stores in Ghirardelli Square, home of the old chocolate factory. Look out for the colony of sea lions down at the wharf. Allow time for day trips beyond the urban area to the delightful Napa Valley wine region, breathtaking Yosemite National Park and the famous old island prison Alcatraz. For an added touch to your romantic getaway, be sure to take a twilight sail on the bay before you leave. Situated in the foothills of the snow-capped Atlas Mountains, Marrakech is an ancient fortified city, associated with romance and adventure in many an old movie. Marrakech is a place to savour and be inquisitive. This is the perfect romantic getaway for hedonists, where couples can explore exquisite architecture, taste delicious softly spiced food, shop in the souks for gorgeous souvenirs, browse art galleries, and relax one of many spas. Sights not to miss are the 19th century Bahia Palace, Ben Youssef Madrasa Islamic college and the Majorelle botanical garden. If you have time, take a tour into the Atlas range to experience a traditional village, ride a camel and take in some gorgeous views. Marrakech is becoming increasingly popular with European travellers and has a wide range of stunning places to stay. Paris has to be one of the world’s top romantic getaways! Just walking around town can make couples feel starry eyed, whether its along the Seine or the Champs-Élysées, around Notre-Dame Cathedral or Sacré-Coeur Basilica, up cobble-stoned Montmartre or the iconic Eiffel Tower. In your meanderings, take in one of the beautiful parks too, such as the Tuileries and Parc des Buttes-Chaumont, and of course you can’t miss out the famous Louvre art museum. Paris seethes with culture and history, now a multicultural city with a variety of cuisines complementing the traditional French restaurants and pâtisseries. One of the most popular activities for Parisians and visitors alike is to settle outside a cafe and watch the stylish world of Paris go by. For couples, a picnic on the banks of the Seine with wine, fresh bread and cheese is an absolute must! Iceland has recently become a hot tourist destination, with the capital, Reykjavik, among Europe’s most popular cities to visit. The other-worldly scenery with its natural hot springs, surrounding a compact, walkable city with a lively nightlife, make this an ideal couples getaway. A quarter of the city is dedicated to open spaces and with the mountain backdrop, you immediately feel refreshed. The city is famous for its thermal pools and spas, perfect for a relaxing break with your loved one. If you want activity, ask your hotel about horse-riding, golf and salmon fishing trips. Group tours out of the city take you to ice caves, waterfalls and glaciers, with a chance of seeing the Northern Lights between September and April. And in the northern summer, you can have the surreal experience of the midnight sunset, which leaves a glow in the sky until dawn. Shanghai is a fascinating mix of modern and colonial, east and west. From humble beginnings as a fishing village, it grew into one of the world’s largest ports, and is now the economic hub of China and welcomes foreign visitors. You’ll enjoy world class shopping and dining in the ultra modern Pugong district, with its glittering skyscrapers among the tallest in the world. For contrasting historic character and charm, explore the Old Town and colonial area along the Bund - a famous section of the Huangpu River waterfront. Shanghai is fast achieving cultural prominence too, housing China’s first state-run museum dedicated to contemporary art, Power Station of Art. And if it’s nightlife you’re after, Shanghai is famous for its bright lights, bars and clubs. This city is a real buzz for couples wanting a new adventure! Probably most famous for Copacabana and Ipanema beaches, Rio de Janeiro (aka Rio) is THE couples getaway if you’re after a heady combination of sea, sand and nightlife. Rio is one big party. Samba is the music style that dominates the scene, especially during the famous Carnaval in February. Some of the best venues for samba-filled evenings are in Lapa, the city’s red light district. You’ll also hear bossa nova and more modern music styles in venues around town. In daylight, make for the top of Corcovado, a hill over 700m high with the iconic 38m statue, Christ the Redeemer, at the summit. From here you have a birds-eye view over Rio and its backdrop of forested mountains. The train gets notoriously packed, so go by car or walk if you’re feeling fit! Often likened to San Francisco for its hills, trams and bridge, Lisbon’s similarities end there. Lisbon has the perfect Mediterranean climate, claiming the accolade of sunniest capital city in Europe, and a string of beaches along a pretty coastline. This makes Porgual’s capital a great all-year-round city/beach holiday destination and a wonderful romantic getaway. The city itself has a beautiful mix of centuries-old architecture, several Michelin-starred restaurants, colourful street art and fabulous shopping from the quaint to the exquisite, making this a fascinating and fun destination to stroll around and relax. If you only visit one attraction, it has to be the Castelo de São Jorge, a Moorish castle perched on the hill above Lisbon. Within the city, the Praça do Comércio is the largest square and is quite stunning, as are the ruins of the 14th century Convento do Carmo. The list is endless, so you’ll need lots of time in Lisbon! For Australians, the beauty of Singapore is its proximity and reliability as a short-break destination. This is an easy, low-risk choice, with pristine hotels, quality restaurants and plenty to do. Walk hand in hand through nature in the Botanic Gardens or Gardens by the Bay, and explore bustling Chinatown or aromatic Little India. Dining here is stunning, with Indian, Chinese and Arabic influenced cuisines. You might want to avoid Sentosa Island if you’re not keen on having lots of kids around, but if you’re big kids yourselves you’ll love the huge attractions, including the waterpark, dolphin island, indoor sky diving, zip wire and adventure park rides. Totally relax at the end of the day and indulge in a treatment for two at a local or resort spa. And finally … if you want to holiday closer to home, read our blog Australian holiday ideas for couples. These wonderful cities, and many more, could be the location for your next - or even your first - romantic escape with your loved one! Whether you want historic charm, beachfront cafes, cultural fascination or just to explore somewhere different, ATAS travel agents are here to help find and book your dream destination. Are you ready to plan your next romantic getaway? Talk to your local ATAS accredited travel agent about the ideal destination for you. Here are several reasons to book with an ATAS travel agent.